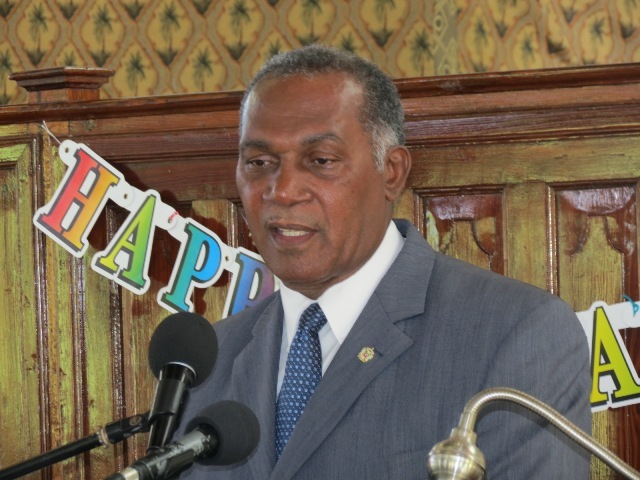 NIA CHARLESTOWN NEVIS (NOVEMBER 17, 2015) — Premier of Nevis and Minister of Education Hon. Vance Amory called on the 71 students graduating from the Gingerland Secondary School (GSS) to seek advice and listen to those who were in positions to enrich their lives, now that they had left the school’s shelter. He told them they had come of age but it does not mean that they do not have to listen to others. “I want to encourage you to seek wise counsel. Others have gone before you. They have passed through school, your parents have done likewise. They are professionals and people who are in the world of work who have exceptional experience, knowledge and skill from which you can learn and I want to implore you that you seek out people who can help you,” he said. Mr. Amoy added that they should seek advice from people who were able to give it since it made no sense to try to draw water from an empty well. He urged them to know from whom they can get good advice to help them and pointed to their teachers as one of the best sources they could return to. He told them they had a responsibility to make choices that would benefit their community, parents, country and themselves in a wholesome way now that they had a sound education and training from the GSS. The Premier reminded the students that they have their whole future ahead of them. He likened their future to a blank canvas on which they could create any picture they wanted for themselves, their country and the world. Mr. Amory told them the time has come for them to work towards taking take hold of the mantle of leadership of their island to ensure that it remains prosperous, secure, a place of harmony in which people can come to help build but they had to take the lead in the construction of their country. Meantime, Mr. Amory used the opportunity to thank the teachers at the school, for not only teaching the students but also for investing their time and interest in them. He said their interest in the students made a big difference in the student’s attitude and ability to respond. Mr. Amory, who is the Area representative, offered his congratulations to the parents for the achievements of the graduating students. He also acknowledged the sacrifices the parents had made for their children over the years. 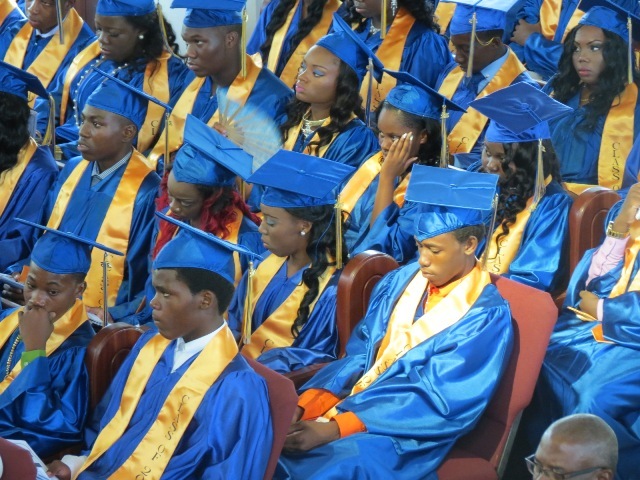 He said the graduation from high school signalled not only the culmination of their high school education but also the crossroads they had arrived at to make decisions whether to go to work or to continue their education at the Nevis Sixth Form College or the Clarence Fitzroy Bryant College (CFBC) in St. Kitts or at other universities. Mr. Amory also thanked the patron for his service to the GSS as a science teacher even after his retirement as a civil servant. 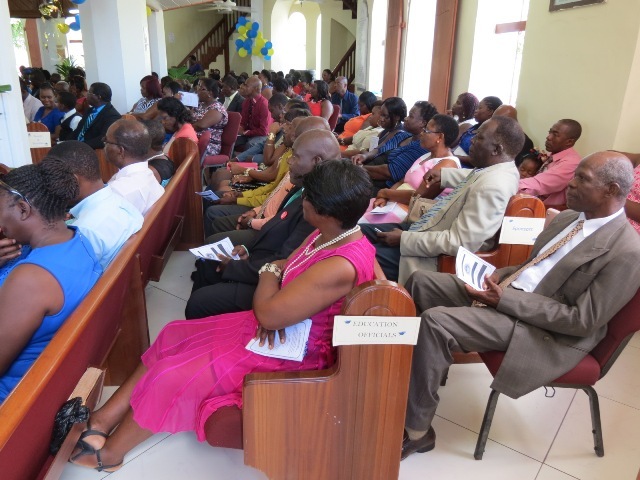 Among those present at the ceremony were other ministers in the Nevis Island Administration, President of the Nevis Island Assembly Hon. Farrell Smithen and Legal Advisor Collin Tyrell.